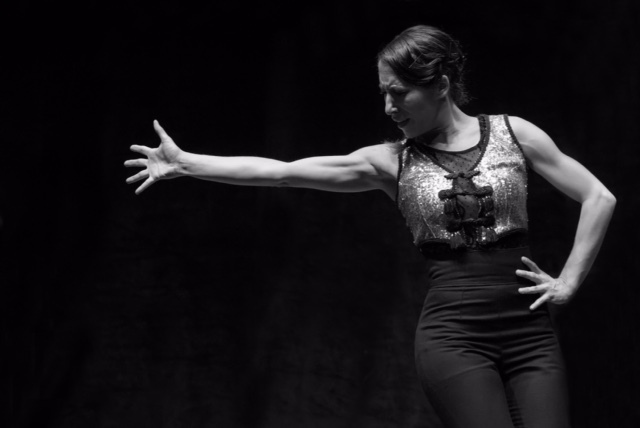 Ana Garcia is a Flamenco producer, choreographer and teacher in Birmingham who is passionate about bringing the best Flamenco shows to the regions. She talks to Weekend Notes about the future of the historic art form and her latest show at DanceXchange. Flamenco has never been stronger, according to expert Ana Garcia and she should know as she has been in the industry for more than two decades. Garcia now emphatically produces work for Flamenco Edition, which tours nationwide, along with teaching classes in Birmingham. Her next production is Reunion starring talented dancers Ana Morales and David Coria at the centre of it. The show - a joint production from The Ana Morales Flamenco Co and Flamenco Edition '17 - will be performed for Birmingham's DanceXchange in The Patrick Centre at Birmingham Hippodrome for two nights only on May 10 and 11. The show then tours to another Midland's venue of Deda, in Chapel Street, Derby on May 13 along with other places nationwide including Northern Stage in Newcastle upon Tyne on May 9 and The Lowry at Salford Quays on May 12. Ana, who was born in Valdepenas in Spain, tells me: "This show is different to usual productions as there is a plotline. It is still a treat for the eyes and the ears, as the music and musicians are unbelievable, but there is also a drama. It's called Reunion because it is like a gathering of friends and fantastic artists after many years.It's about remembering different moments from the past." It's difficult to see good quality Flamenco outside London and I know there is a hunger and desire to see it. This is all about bringing the best Flamenco to all the regions so people don't have to go to London or Spain as there are so many aficionados around the country." Flamenco - an exhilarating art-form based on folkloric music traditions of Southern Spain - is historic and cultural but always evolving, so much so that Ana frequently goes to Spain to do masterclasses and keep up to date with emerging shows, as well as visiting family. "Flamenco is always evolving because life changes" says Ana. "Also Flamenco dancers now feed from other dance forms like contemporary dance and ballet backgrounds but in old days, the dancers were just pure Flamenco dancers with a guitarist. The music is also becoming more incorporated with other forms. People don't dance like they did 25 and 50 years ago but it is still always following the roots of Flamenco." Flamenco is all about having a pure feeling, understanding the rhythm and how to express yourself through the dance form. The moment you lose the roots, you don't have an anchor to hold you down." Ana benefited from learning skills from Flamenco greats like Maria Magdalena, La Chiqui de Jerez, Rafaela Carrasco and Eva "La Yerbabuena" in Madrid, Seville and Jerez, and is now passing on her expertise to adults and children. Teaching in England since 1993, along with choreographing, Ana holds regular classes for adults who are both beginners or accomplished dancers along with nurturing young talent at Elmhurst Dance School. "Flamenco appeals to British people so much," reflects Ana. "I suppose it's because of the freedom of expression. I get regular people coming with normal jobs who come to dance and feel free to express themselves without being polite. "They can forget all the worries and everything else they bring with them from work or home and become someone strong. Many people who do Flamenco say that it makes them feel empowered and more confident. Not just physically but mentally." Ana adds that Flamenco is very good for learning about rhythm as the Flamenco dancers are not just dancers, they are percussionists who make music with their entire body through clapping and footwork. Something that audiences will be able to see up close in The Patrick Centre, within Birmingham Hippodrome, for the DanceXchange showing of Reunion. 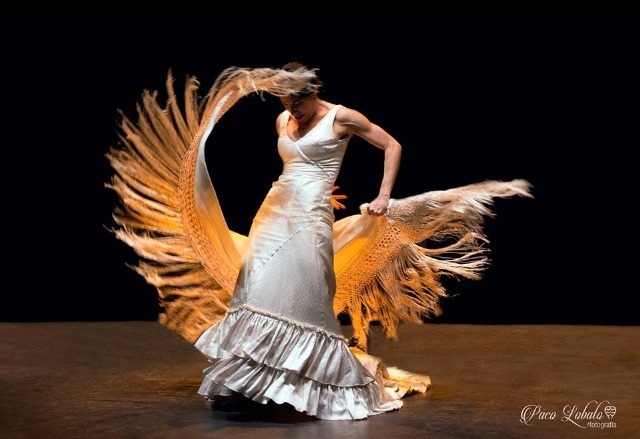 DanceXchange and Birmingham Hippodrome have been particularly supportive of Ana's productions and Flamenco, along with the Arts Council, which funds Ana's work. "I couldn't survive financially on just the ticket sales because the venues are only small, so the ticket sales don't even cover the expenses," explains Ana. She adds that small venues are important in bringing high calibre Flamenco to local audiences as the intimate settings allows people to get "close enough to witness the conversations between the dancers and musicians". "I know these things come in waves of what's fashionable but wherever you go in the world, you find Flamenco. It seems to have captivated everyone's hearts in every country." Tickets cost £16 or £12 for concession and £8 for under-25s by calling 0844 338 5000 or from the DanceXchange website. Tickets cost £18 or £15 concessions by calling 0191 230 5151 or visiting the Northern Stage website. Tickets cost £19.50 - £15.50 by calling 0843 208 6010 or visiting the Lowry website. Tickets cost £14 or £12 concessions by calling 01332 370911 or visiting the Deda website. Tickets cost £17 - £12 by calling 0115 846 7777 or visiting the Lakeside website. Tickets cost £18 or £15 concessions by calling 0844 576 3000 or from the PDSW website.